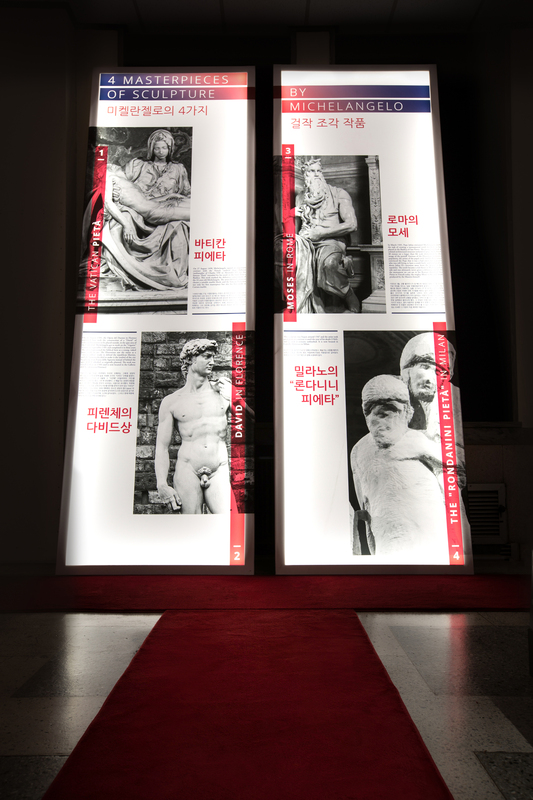 The former Busan branch of the Bank of Korea in Busan hosts the special exhibition of the rare plaster cast of the original Medici Madonna realized by Michelangelo Buonarroti for the Sagrestia Nuova (New Sacristy) of San Lorenzo in Florence. 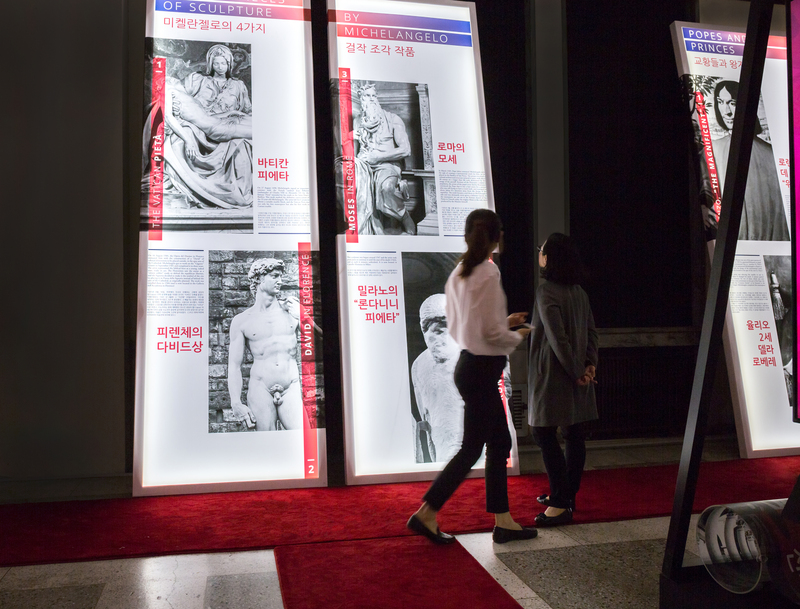 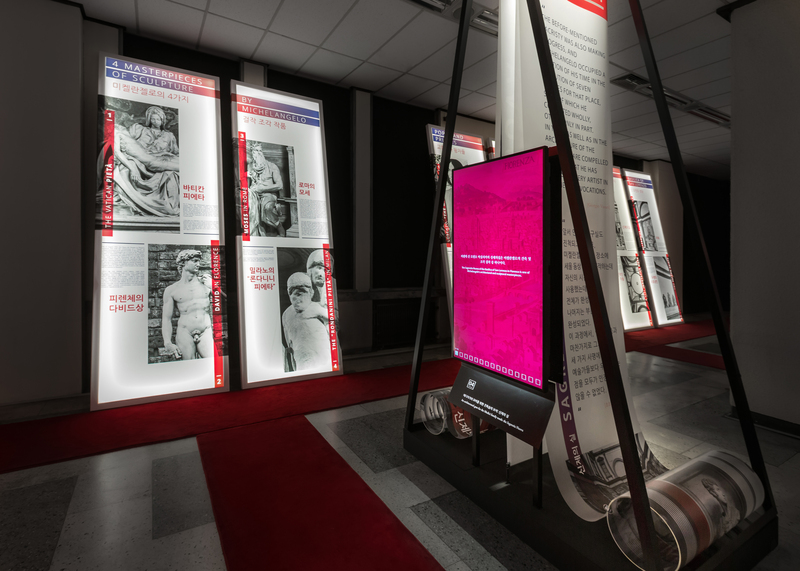 Curated by Ico Migliore, Mara Servetto and Marco Carminati, the exhibition is hosted and organized by the Busan Fine Arts Association and KBS Busan Broadcasting Branch Office. 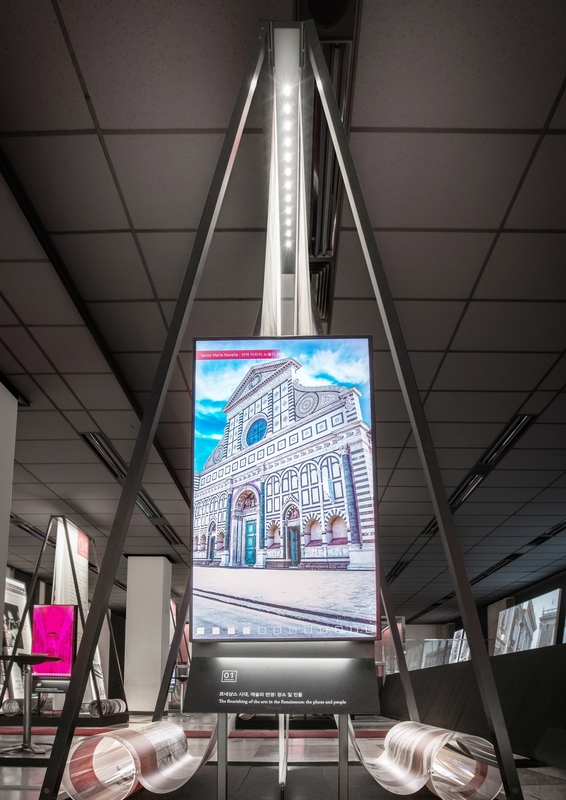 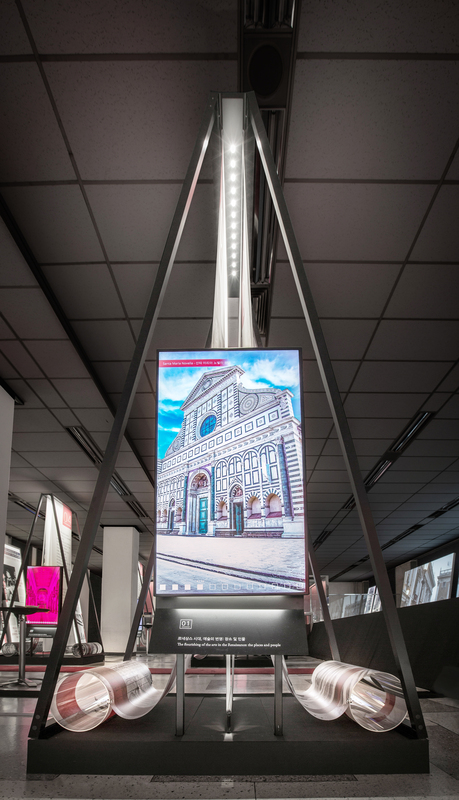 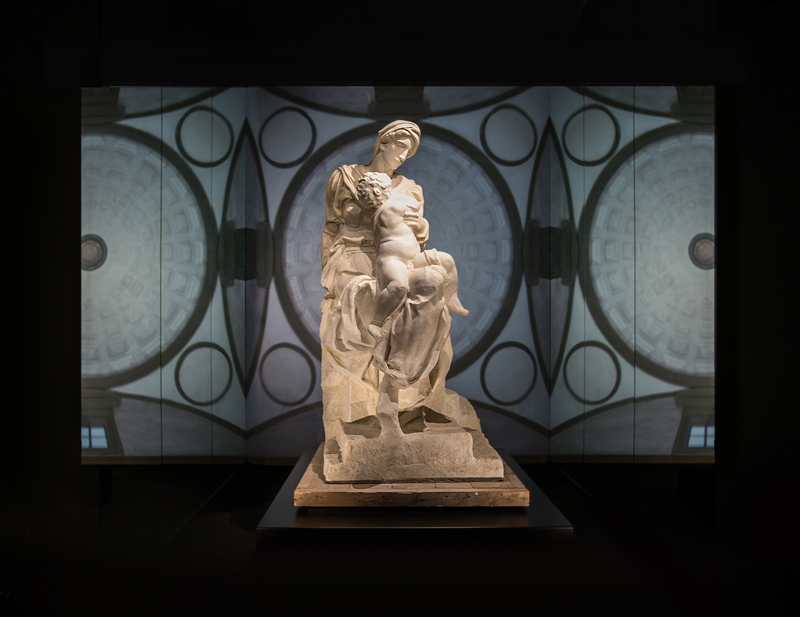 The special set up offers an innovative approach to the artwork and its context, allowing the visitors to experience all the richness of Michelangelo’s work. 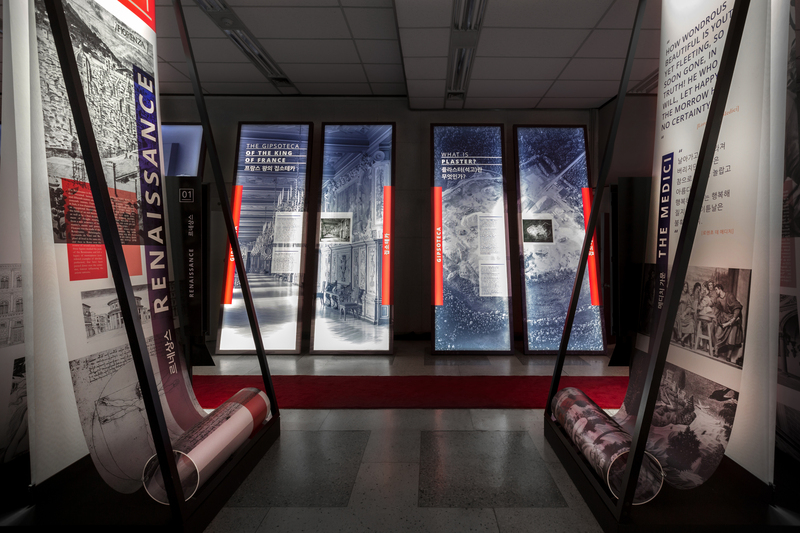 “We have conceived an approaching pathway to the work as a sort of lay procession, as we like to describe it, which allows visitors to immerse themselves in the historical and artistic context of the Renaissance.”- Ico Migliore and Mara Servetto explain- “This process is conceived as an introduction and more in-depth explanation of Michelangelo’s thought before the visitor faces the work itself”. 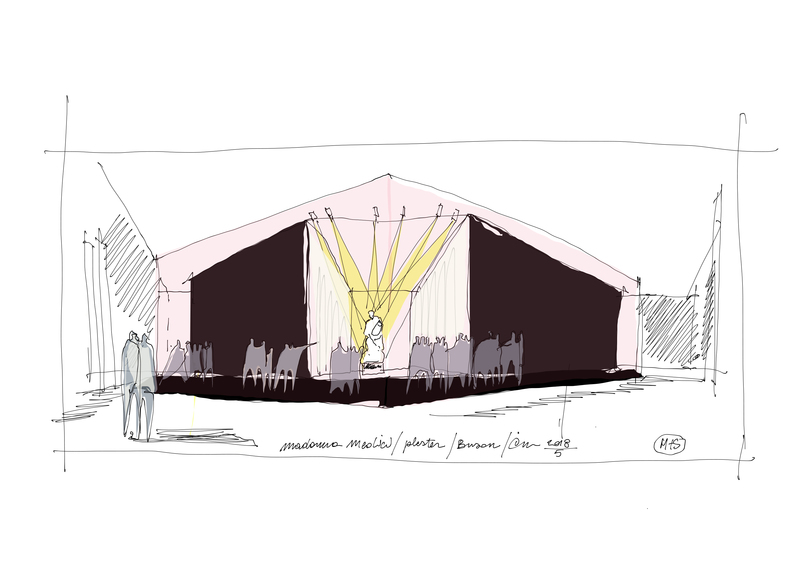 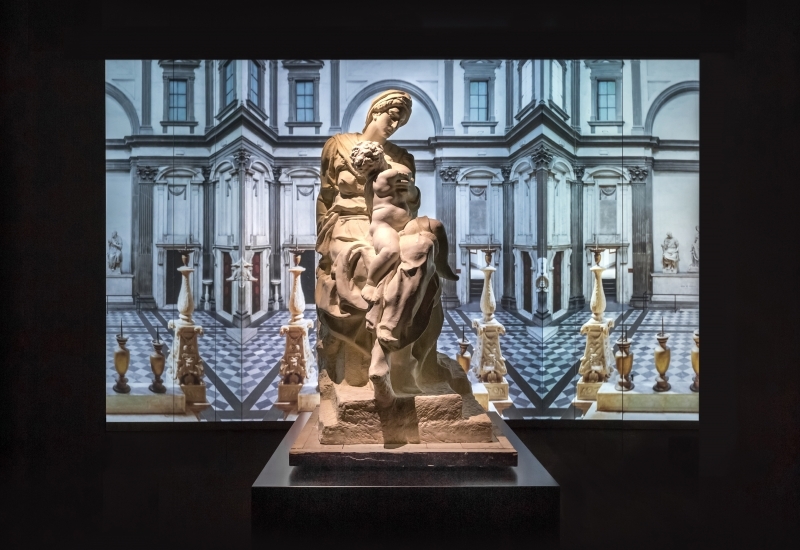 The narrative path reaches a crescendo as the final part culminates with the original cast of the Medici Madonna presented with a sort of new evocation of the sacred, through a visual reference to the spaces of the Medici Chapel of the Sacrestia Nuova in Florence. 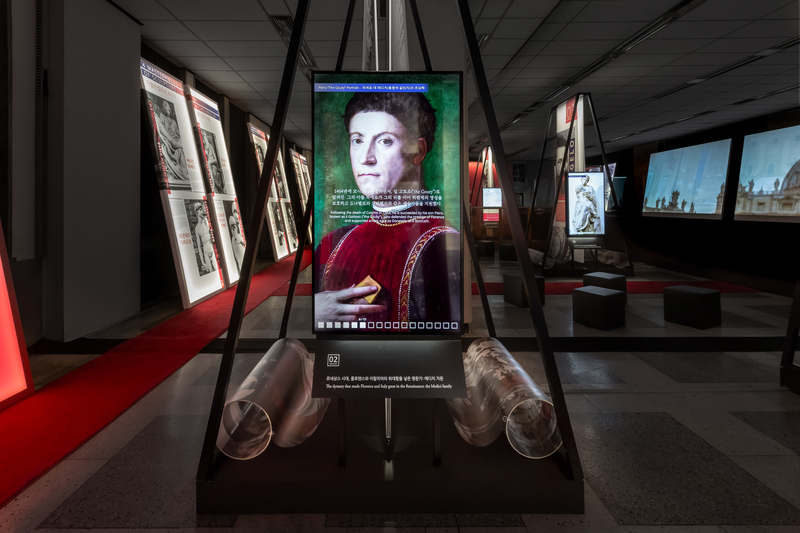 The exhibition, thus, allows the visitor to enter into the world of Florence of the sixteenth century, including the court of the Medici family and the extraordinary history of the Italian Renaissance, as the set up traces not only Michelangelo’s artistic greatness but also the different stages in his training and personal life. 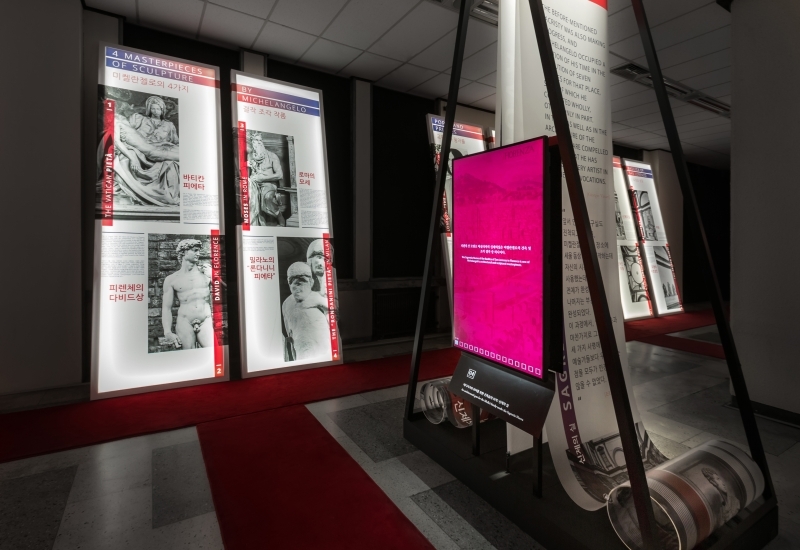 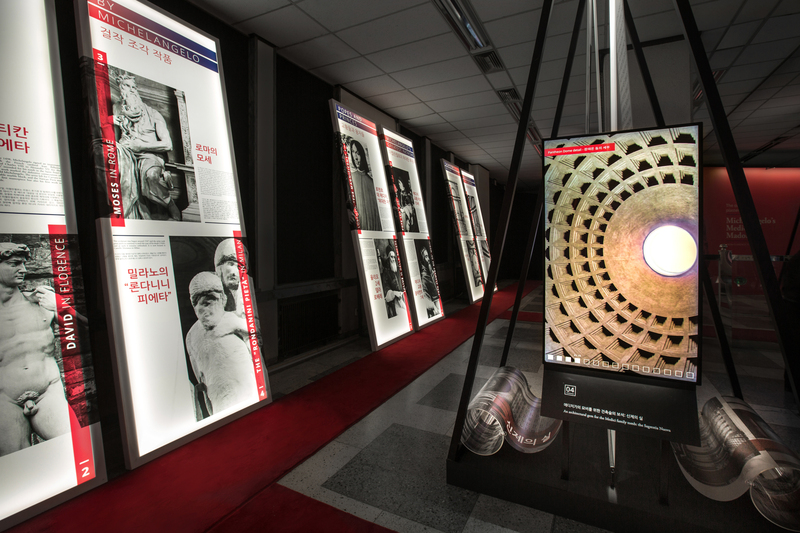 Moreover, one section of the exhibition also explores the techniques and methods used to produce the plaster cast, illustrating the importance of this ancient and highly skilled technique, which allowed exact reproductions of the originals, instilling them with the value of the entire history of Western art, starting from ancient Rome. 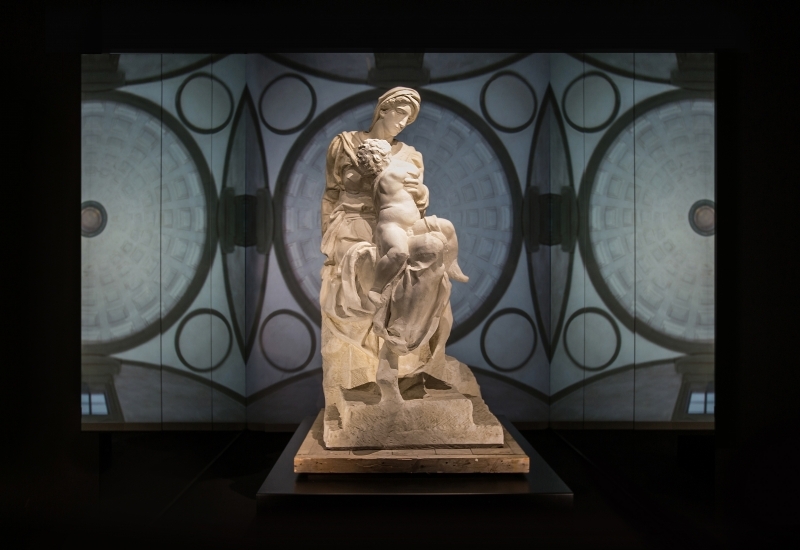 The critical contribution of the prof. Giuseppe Cordoni, established art critic, enhances this exhibition with valuable cultural contents and offers to the visitors the unique opportunity to deepen the knowledge of Michelangelo and his work. 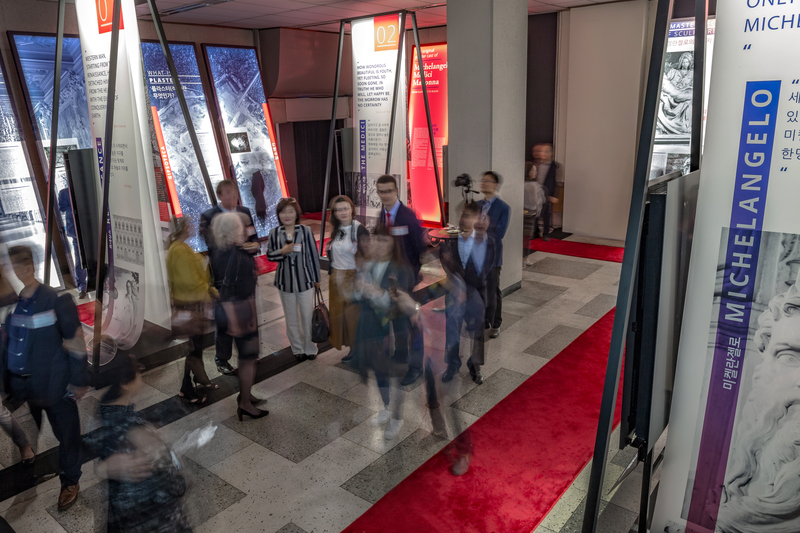 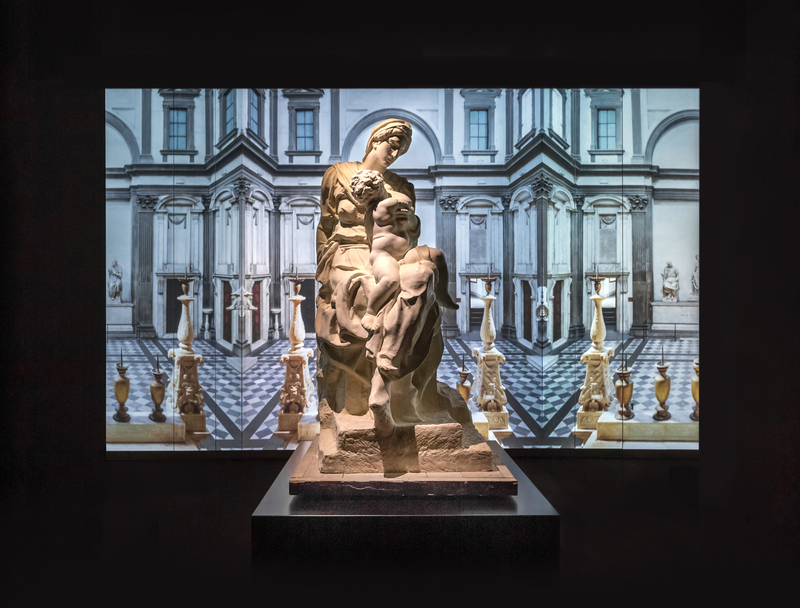 This exhibition offers the chance not only to see the Medici Madonna’s original plaster cast but also to enjoy the exclusive videos that show the life story of Michelangelo and the relationship between the Medici and Michelangelo. 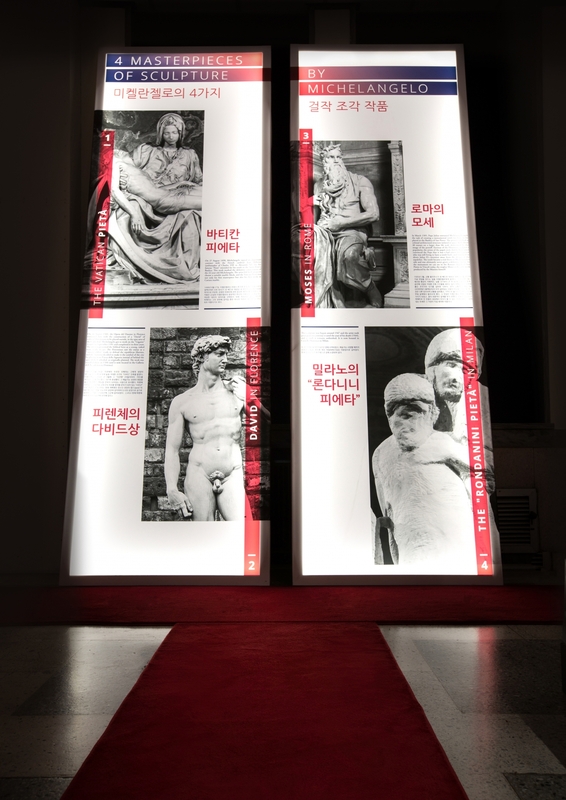 The former Busan branch of the Bank of Korea in Busan hosts the special exhibition of the rare plaster cast of the original Medici Madonna realized by Michelangelo Buonarroti for the Sagrestia Nuova (New Sacristy) of San Lorenzo in Florence. 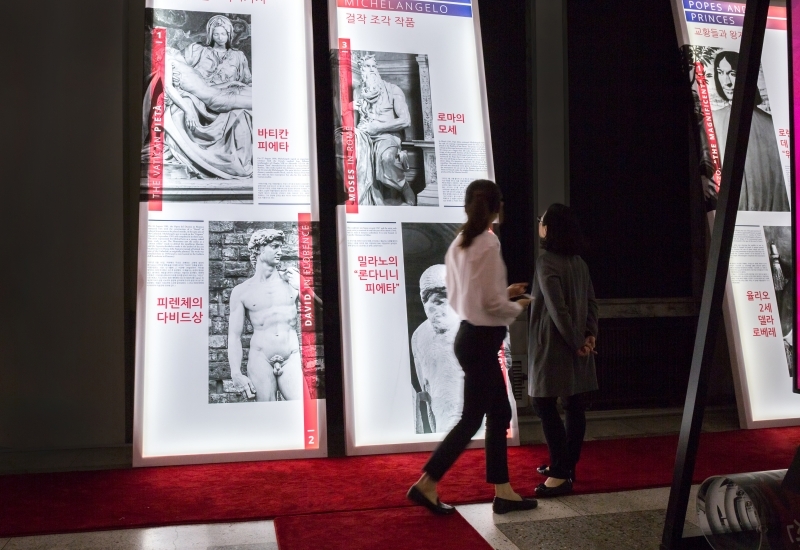 Curated by Ico Migliore, Mara Servetto and Marco Carminati, the exhibition is hosted and organized by the Busan Fine Arts Association and KBS Busan Broadcasting Branch Office. 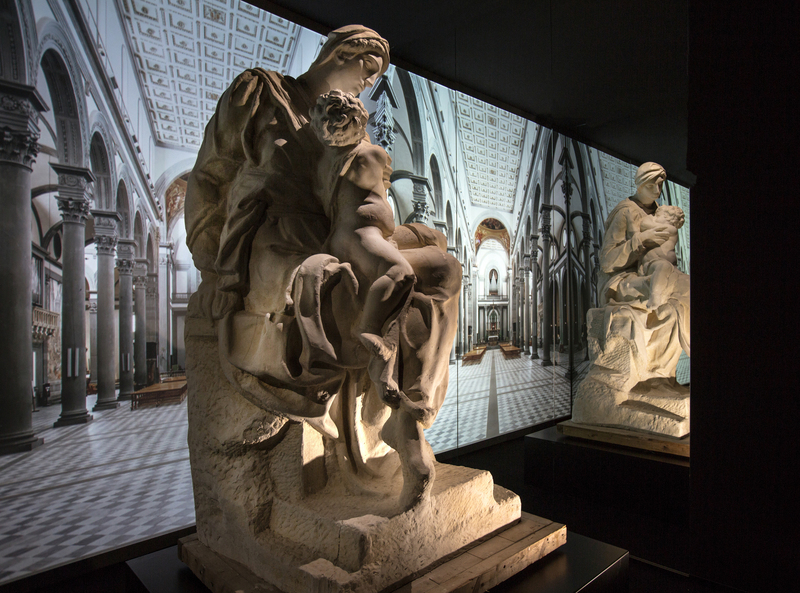 The special set up offers an innovative approach to the artwork and its context, allowing the visitors to experience all the richness of Michelangelo’s work.